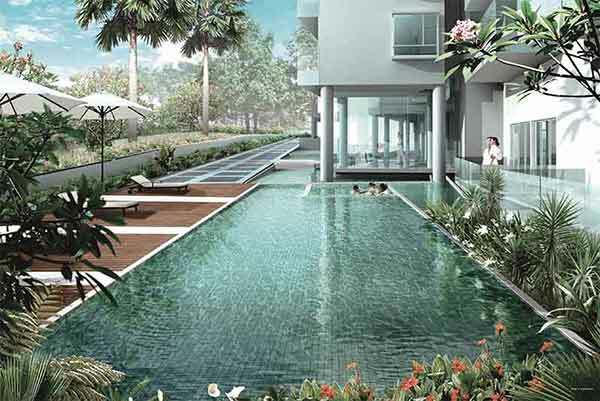 Bluwaters 2 is a residential condominium in District 17 Singapore. It is located exactly at Jalan Loyang Besar which is known for its very tranquil environment. It is a 5 storey building with 71 condominium units. Unit mix includes 2 bedrooms, 3 bedrooms and penthouses as well. TOP in 2011. The architecture of Bluwaters 2 is simply impeccable. This is also an excellent abode for nature lovers who want to escape the hassles of the city and urban living.The floor to ceiling glass windows makes it possible for residents to see the inspiring view more often. Moreover, the whole family will enjoy how comfortably roomy the area is and it is possible to customize the space any way they desire. Relaxation can be achieved with 2 pools both being child and adult friendly. There is even a Jacuzzi where residents can release stress from a hard day's work. During weekends, everyone can gather with their families and enjoy each other's company at the Barbecue Pit or Barbecue Area where they can do cook-off's and parties! Maybe even the other residents can join. If residents don't feel like cooking, they can go eat at the Al fresco Dining Area. Even out all the eating by a heart pumping workout at the Bluwaters 2 Gymnasium. If it's food they fancy and they feel like cooking something up in the kitchen, residents can easily visit Shop N Save or the Sheng Siong Hypermarket to get all the ingredients they need. 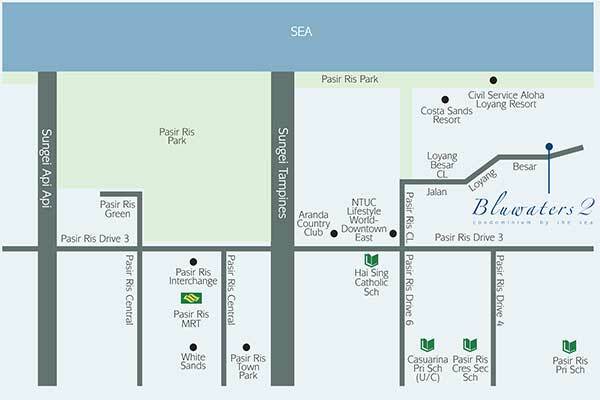 Nearby Amenities include Changi Beach Club, SIA SPorts Club, PA water venture etc. This is the perfect place for residents looking for a home where they can relax on a daily basis with the beach near them along side all the amenities they need! Parents be spoiled for choices for school with nearby top schools such as Pasir Ris primary, White Sands, Greenview and Loyang School. Transportation won't be a problem as well because it is neighboring the Pasir Ris MRT station. Shopping malls like Loyang Point, Downtown East and White Sands is also within the vicinity making it easy for the whole family to get all the necessities they need. 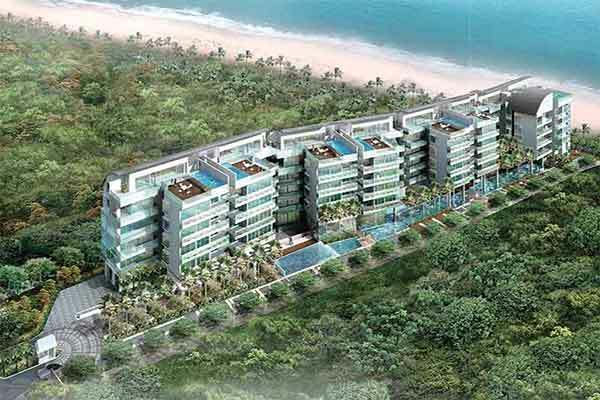 Luxurious apartments overlooking the seas. Located in a very quiet district. Theme Parks available in the area (Wild Wild Wet and Escape). Located near well established schools. Description: 5-storey residential condominium with 71 units of spacious apartments complete with all needed facilities. *Bluwaters 2 VVIP Preview is available strictly by Appointment. Showflat opening hours may varies. For opening hours, do call our Sales Hotline at 6100 0877 or register below for your VVIP Preview.